Hailing from scenic Northern Nevada, Reno resident Dave Lamb is one of the most recognizable poker tournament directors in the industry today. Dave has been actively managing poker tournament events for over 15 years and is an original Founding Member of the Poker Tournament Director’s Association. 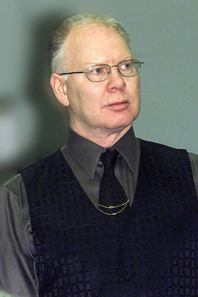 Dave was Poker Tournament Director of the Reno Hilton for over ten years and now conducts tournaments around the world as an independent contractor. A partial listing of the events Dave has directed includes: Six years as the Super Satellite Director at the World Series of Poker, the Costa Rican Classic, the Four Queens Classic, the European Nations Challenge in St. Petersburg, Russia, the Aruba Poker Classic, and the Asian Poker Tour. Dave directed three events on the World Poker Tour schedule during their inaugural year including the World Poker Challenge from Reno, Nevada. Dave understands the challenges that working tournament personnel face everyday, and believes that poker rules should contribute to the game without creating needless bureaucracy. Based on his real-world experience, he’s developed a remarkable talent for drafting poker regulations that address difficult situations with workable solutions. 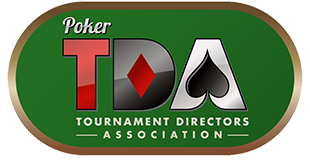 For any questions on tough poker decisions, feel free to contact Dave at TDAGroup@PokerTDA.com. He looks forward to hearing from you.